Raising awareness and inspiring action to protect Singapore’s small, yet biologically diverse reefs. 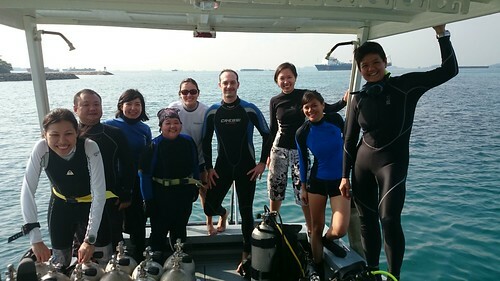 The Hantu Blog is the only non-profit, volunteer dive organisation in Singapore that conducts regular guided dives for members of the public. Since 2003, The Hantu Blog has been conducting educational tours for divers in Pulau Hantu, Singapore’s most popular Southern Island, known for its sheltered and biologically diverse reefs. The Hantu Blog also conducts private, public and corporate talks. The Hantu Blog has been described as a “new-age NGO” that utilises modern, free-media, to enhance the awareness of Singapore’s coastal and marine habitat. With the advent of technology, new methods can and should be employed to garner awareness and to enable outreach. We hope that our strategy inspires other individuals to do the same. The Hantu Blog found its origins in a Singapore diving forum. After her first dive at Pulau Hantu, Debby Ng posted her experiences in various threads in the forum. Surprised and intrigued by Debby’s finds, readers began requesting for her to lead dives out to the island to showcase what several divers never thought existed in Singapore. 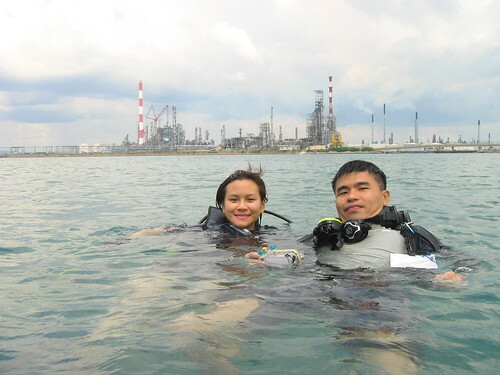 Encouraged by the response and determined to share with others the natural history and precarious status of Pulau Hantu, the inaugural Hantu Bloggers dive was held on 24 April 2004. The thread on the forum became so popular and overwhelming that Debby had to seek new ways to communicate with divers and readers, and keep the surge of interest in the island alive. At a time where Blogging had yet to reach its current popularity, Debby was introduced to the concept by Siva, an ecologist at the Raffles Museum of Biodiversity (RMBR). The first blog was built at pulauhantu.blogspot.com, and was sufficient for the posting of Debby’s regular trip dairies (now known as the Blog Log). However, after Debby acquired an underwater camera in the quest to visually present and document the treasures of Hantu island, a new server was required to host the collection of images that was quickly being complied. That’s when Siva stepped in again, and offered to sponsor data storage space on the NUS server. Since 2006, the Hantu Blog has added public and school talks to its repertoire of educational services. It has also participated in several conventions and campaigns, and has been represented in all relevant local environmental forums. Also in 2006, The Hantu Blog together with the Blue Water Volunteers (BWV) and Gill Divers, developed a program called Reef Friends Xplore! to train and tutor divers to be savvy with our local diving conditions and familiar with guiding skills. After an intensive written and practical course that bridged two months, only 11 students graduated from the nearly 60 that registered for the course. 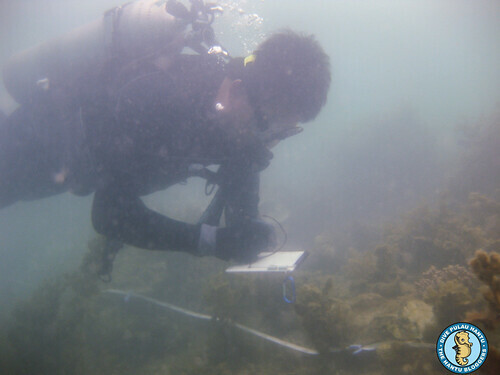 These graduates are now active volunteers both with the Hantu Blog and BWV, lending their knowledge to the exploration of both topside and underwater habitats in Singapore’s reef and intertidal areas. The Hantu Blog raises funds primarily by running monthly trips to the island. The funds generated are channeled towards collecting data on a regular basis from our islands, maintaining the website, and producing media for distribution and display at our talks. Our activities are run entirely by committed and dedicated volunteers who have invested huge amounts of time towards raising environmental awareness amongst not only Singaporeans but the country’s visitors as well. The Hantu Blog dives have attracted visitors from the United States of America, United Kingdom, Holland, Finland, Germany, Malaysia, Indonesia, Thailand, Australia, France, Spain, Israel, Mauritius and Sweden. Our volunteers have come from all walks of life and have included several nationalities including Dutch, Malaysian, Filipino, Swiss and Singaporeans. Pulau Hantu is not only of local interest, but is an important site worth preserving for the global community! To make a donation or find out how you can volunteer, please email us your skills and interests!